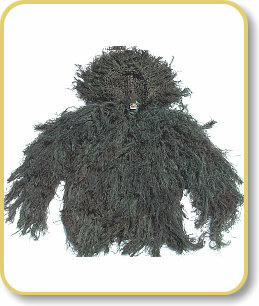 Lots of people know Ghillie Suits, right ? These units come in four different colors, and 14 different sizes. Xiang Liu had to quit! His foot hurt too much! Xiang Liu had to quit today from Beijing 2008 Olympic Games. I am watching the TV — news conference about why Xiang liu quit. Don’t give more pressure to Xiang Liu, he really has foot hurt. Here is the web page of Visiting Canada Guides and Forms from Canada Border Services Agency. Your can find the Guide of Visitor, the Customs Declaration Card (English version and Translation Version) etc. 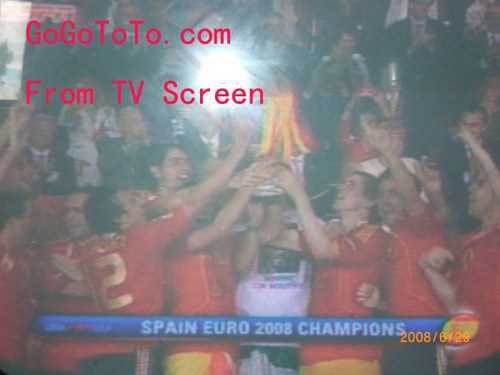 The final match of Euro Cup 2008 just ended. The winner is Spain. German are too bad faced to Spain today. It seems it was the specify stage of Spainish. Spanish were great today! I think they should get the Champion. (updated in March 2016) We think John Chow is a famous “Blog Star” in the world. Lots of bloggers knew him. because he made “big” money from his blog! So we can call him as a “blog money maker star”. However, we knew him too late. We did not even know what earning money from online was before. Most of time we thought earning money from online was not real, maybe a cheating story, we decided to try it very late, then we know John Chow lately. Liu Xiang’s Record was broken! Dayron Robles set 12″87! Never thought Liu Xiang’s world record was broken so early! 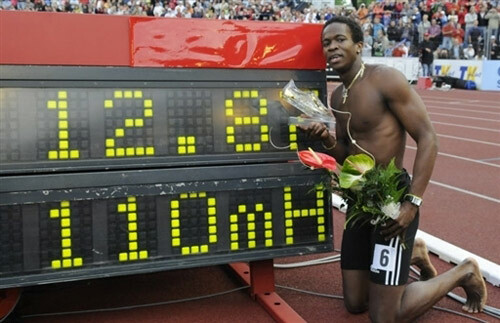 Dayron Robles of Cuba set new world record in the 11-meter hurdles today in Czech Republic. His record is 12″87, Liu Xiang’s record was 12″88. Robles was 0.01 seconds faster than the previous mark, set by China’s Liu Xiang at Lausanne, Switzerland, in 2006. Terrence Trammell of the United States was second in 13.21 seconds, followed by Ukraine’s Sergey Demidyuk in 13.42. The 21-year-old Robles won seven of eight 60-meter hurdles races during the recent indoor season until a disappointing seventh at the World Indoor Championships in March, when he was late out of the blocks because he thought there had been a false start. He was 2-2 in head-to-head races with Liu in the 110 hurdles in 2007, when he set his previous personal best of 12.92 while finishing fifth at the World Athletics Finals at Stuttgart, Germany, in September. Robles’ record puts extra pressure on Liu, the reigning world and Olympic champion who is China’s biggest hope for gold on the track at the Beijing Games. Liu has been hampered by a sore hamstring and last week was disqualified at the Prefontaine Classic for a false start.